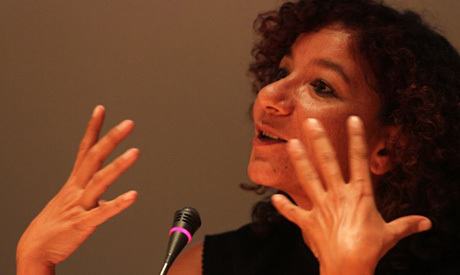 Egyptian university professor Mona Prince, who recently gained national attention after her personal Facebook images were leaked on social media, has announced that she is running for the 2018 presidential elections. The English literature Professor at Suez Canal University posted a banner on her Facebook page saying "Mona Prince, Egypt's President 2018." Prince mentioned in one post that through "science, art and freedom, the sun of our country will rise again," while in another post said sarcasticaslly that she will use her fun personality to "pamper" the Egyptian people. Last month, Prince gained attention on social media platforms after a user grabbed images from her Facebook page and shared them on his own. The posts contained a video of the professor dancing on the rooftop of her home, as well as some personal photos with her friends. The professor said her behavior is a matter of personal freedom that harms no one, calling on the Egyptian community to consider discussing topics of more importance like health and education, instead of "a common citizen dancing at her home." This is not the first time Prince has announced her intention to run for president. In 2012, she announced that she intended to run in that year's presidential election, but did not present any offiicial documents to the election committe. The upcoming Egyptian presidential elections are scheduled for February and May 2018. No politician has officially announced their intention to run against sitting President Abdel-Fattah El-Sisi. On Friday, Hamdein Sabahi, former presidential candidate during the 2012 and 2014 elections and founder of the National Popular Movement, called for the formation of a national coalition to unify political support for one presidential candidate to run against El-Sisi. The official due date for candidates to start presenting their official documents to run for president is March 2018. Prince is one of a number of non-partisan citizens who announced on social media platforms their intention to run for president. She said she will work with the country's youth to restore the identity of the Egyptian people and establish the pillars of the modern Egyptian nation.